Fill your liners up 2/3 of the way. Cupcakes look so sad when they’re barely peeking up above the liners, don’t they? Many people err on the side of caution, ensuring they have enough batter to fill all of the cups and they won’t have to scrub burnt cake mix off the top of their cupcake pan. However, you should try to evenly fill your liners 2/3 of the way up. It’s also important to fill all of the liners evenly so they’re all fully baked when they come out of the oven. This likely happens when you’re concerned you may have filled your cupcake tins too high! You want to make sure your cupcakes aren’t overflowing, so you take a couple of peeks into the oven to see that they’re looking good. It’s understandable, but seeing your cupcakes overflow isn’t going to stop them from doing so, so stop opening the oven! This causes the temperature to fluctuate and your cupcakes to bake unevenly. Nobody likes a cupcake with a soggy inside but a burnt top. Any ingredients you use in your baking should be at room temperature. This is crucial for a couple of reasons. For one, it’s frustrating to try to combine a cold stick of butter into your mix of dry and wet ingredients. Even if you think it’s combined well, it probably isn’t, because the butter simply isn’t soft enough to be broken up evenly. Reader’s Digest stated that when butter is too hard, the dry ingredients, like the sugar, can’t penetrate the butter to create little air pockets. 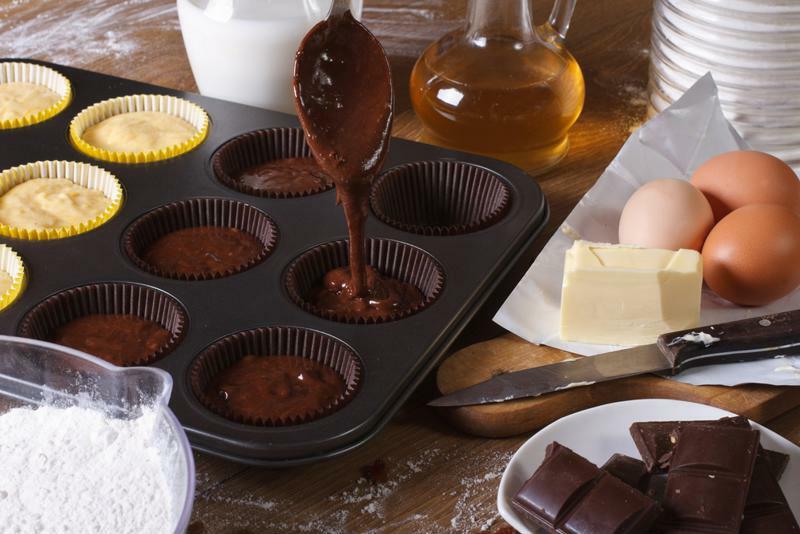 Though you might think this is a good thing, those air pockets are what causes the baking powder to expand and makes your cupcakes light and fluffy.